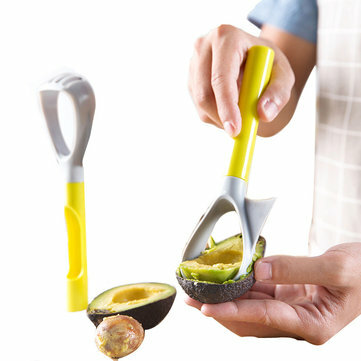 -HIGH QUALITY: Avocado Slicer is made of 100% Plastic.Avocado Slicer made with durable plastic, the unique design makes Peeler Cutter Skinner Corer so much easier. -USEFUL: Accessory for any kitchen, this Avocado Slicer works greatly not only for Avocado but also other items. Mini size and light weight make it easy for control and storage. In addition, it is easy to clean. 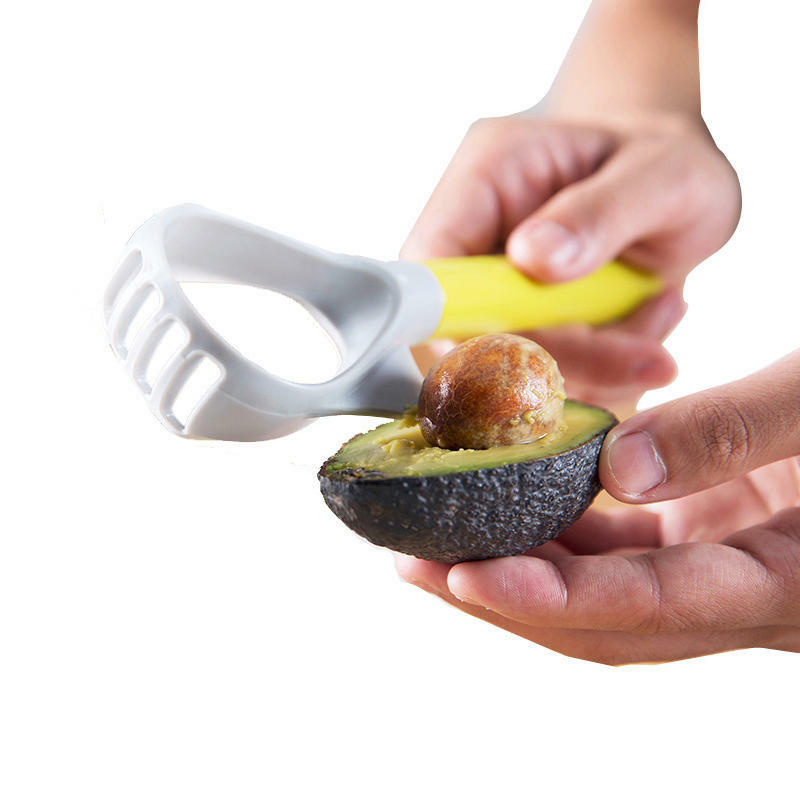 -MULTI - PURPOSE: It's not only Avocado you can slice with this handy little gadget, but all other kinds of soft fruits, like bananas, kiwis... in smaller pieces of course, don't forget that it's still a mini press you're using! -CONSTRUCTION:plastic blade easily slices avocados in half:the blade is to easy cut through avocado skin and fruit, but safe to the touch. The pitting tool allows you to quickly remove the pit with a simple twist. -We truly believe You Won't Find a Better One Out There. Our Avocado Slicer come with a 100% satisfaction guarantee. We know you will love them! To enjoy your COOKING TIME , click 'Add to Cart' now.